What Does Jehovah Really Mean? 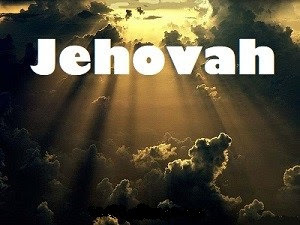 The Name "Jehovah" is The Translation to English languages which will be translated by "Charles Russell" from Hebrew text. That is the four letters [YHWH] as the tetragrammaton [YHWH-Yahweh] in Hebrew languages with translated in English & Tagalog Version [JHVH-Jehovah], and, the name of the child "Yahshua / Yeshua” was translate by Charles Russell in English (Jesus) and in Tagalog (Hesus), all of those names was accepted and used to any believer in the correct way. Below are the verses that help you for this topic. Note: There is no capital Letter “J” In Alphabetical Hebrew-Aramaic. The way you can say it will defend on each language you are using. Throughout the Holy Scriptures God reveals Himself to us by His name, and when we study the names He reveals to us in the Bible, we better understand who God is. The meaning of God's name reflects the central person and character of the One who brought them. Sanctifying something is, sanctifying or being worthy of all devotion. To sanctify the Name of God is to think of Him with all devotion and loving praise. God's name is most important (Nehemiah 9: 5); therefore, we need to dedicate the position that is very important to our minds and hearts. We should not do his name with just simple (Exodus 20: 7; Leviticus 22:32), but always rejoice over it and think of its true meaning. Now that you know the real meaning of Jehovah, you must also know the real thing that can make you holy in the name of God the father through Jesus Christ the savior. Amen. The name Jehovah is not the name of the Lord, that is just a misinterpretation on translating from Hebrews language to German language.